The Library’s subject guides are a hit! Actually they were a hit over 275,000 times in 2014! Congrats to faculty and students in the RPN to BScN program for having the top used program guide (almost 16000 hits). Students in two of our Continuing Education programs made good use of their subject guides too: over 10,000 hits each for the Library and Information Technician program guide and the Mental Health Nursing Certificate guide. Haven’t discovered your program’s guide yet? Make this your first priority in January! You’ll find lists of customized, best bet, online and print resources selected with care and expertise by your Library staff. They provide great starting points for just about any assignment and will save you gobs of time! As you can see, our APA guide really attracts attention! Technical help is just a click away with our Tech Support guide. Dreaming about that job at the end of the rainbow? 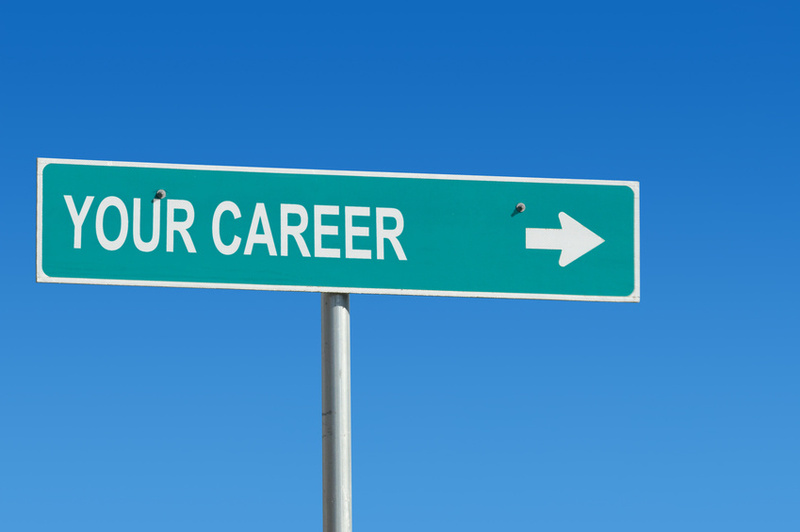 Check out our Careers and Job Search guide for some great tips and tricks! Writing skills, time management, stress relief … we’ve got it! New Year’s resolution: get to know your subject guide! We’d like to see a little more competition for those top spots! Apprenticeships and skilled trades are in the news again! Maclean’s recent Jobs report issue included an article entitled, The tricks – and the stigma – of the trades. Often overlooked and underestimated by parents, guidance counsellors and prospective students, trades careers are an excellent choice for many, including the best and the brightest. From great compensation (“plumber” makes yesterday’s Workopolis list of jobs that don’t require a degree … but pay really well) to challenging work to flexible schedules to no boss (! ), these are careers that merit some serious consideration … and not just by “general level” students. Math skills are essential as well as problem solving and other academic skills, according to a recent Talent Egg post. Interested in learning more? Check out our Careers in skilled trades subject guide for everything you need to know and pop into our Stoney Creek campus to see Mohawk’s skills training in action! 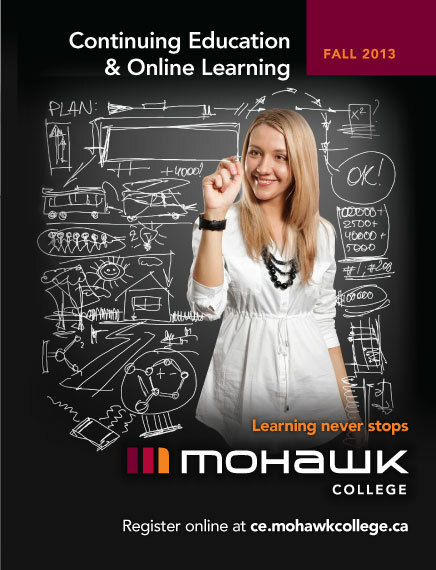 Ebrary is just one of the e-book databases that the Mohawk College Library subscribes to. It contains over 24,000 e-books covering policy, law, and health from a primarily Canadian perspective, plus a small collection covering job search, grammar, business & technology topics. Some recent additions to the collection include some very valuable resources for Library & Information technicians. This link will connect you to a list of some of the titles available: Globalization, Culture and Social Capital: Library Professionals on the Move, and Subject Librarians: Engaging with the Learning and Teaching Environment. The Library & Information Technician subject guide is a great way to discover the best resources that the library has to offer. The subject guide includes books, e-books, journals, and online resources to help you complete your assignments successfully and have a better understanding about information services. The extensive job boards page connects you to a variety of libraries when you are ready to jump start your career. Before you know it, assignments and exams will be a thing of the past and you’ll be heading out to work at a coop position, summer job or… best of all … a full-time job! A successful workplace experience results in great reference letters, an increased professional network and lots of self confidence. Check out these resources for some great tips! Canada’s own favourite career and workplace advisors, Workopolis, wade into interesting territory with today’s post on workplace protocol and manners! Find out “who goes through the door first” in this comprehensive list of dos and don’ts. Business Insider, a well respected industry blog, recently featured an article entitled 19 things you should do on your first day of work in its Strategy section! That’s a whole lot of strategic thinking for your first day but … it never hurts to make a great first impression! If you have time for even more workplace prep, be sure to read How to shine at work. Learn how to master office politics, effectively schmooze bosses and deal with difficult co-workers. You’ll find a copy in each of our Library locations. Looking to start your career? Plan on attending the Connect to Careers job fair being held on Thursday, January 23, 2014, from 10 – 4, at the Careport Centre, Hamilton. Employers are recruiting for full time, part time, co-op and summer positions. Obtain information from employers on educational and job requirements, industry trends and growth. Registration required. A complete list of participating employers can be found here. Check out the resources listed on the Career fairs page on the Careers and Job Hunting subject guide to find out how you can prepare for a career fair. While you’re looking at this subject guide, use the sites on the Company research page to find out more about participating companies. Find your passion and follow it! There was a great post on the Workopolis blog recently called “How to land a job with just one email“. It told the story of a university student who landed his dream job at technology startup Foursquare by sending an email to the founders. His passion for the company comes across loud and clear in the email. He had done his research, knew lots about them and was able to convince the founders that he would be a valuable addition to the team. We all need motivation to accomplish our goals. Dreaming about a job with a particular company might just be the motivator you need to push you through assignment and exam time! Maybe your ideal job is at a company around the corner, or the firm your Mom works for or ???? Having trouble identifying that dream employer? Check out our slew of lists of best employers in a variety of categories: most socially responsible, most “green”, most employee friendly, most “caring” and, of course, the standard…most revenues and fastest growing. Find your passion, build your story and put it out there! Be sure to connect with the Library if you need help. We have lots of ideas! The most important decision of your life! Choosing a college program … and ultimately a career… is a daunting task. Have you chosen to follow in the footsteps of a parent or sibling or friend? Will you find the same passion for the program or career as they have? Is there something else out there that might be perfect for you? So much to consider! College programs have changed a whole lot over the last many years. Take a gander at Mohawk’s list of full-time offerings and you’ll see some occupational titles I’ll bet you haven’t heard of before: Concurrent Disorders, Non-Destructive Evaluation, Motive Power. Check out our Continuing Education catalogue and the list of cutting edge possibilities grows further (Forensic Mental Health, Bereavement Support, Tea Sommelier!). If your main educational goal is to acquire skills and knowledge that will result in a job, make sure you choose the right field. Check out this list of recent reports and articles which identify Canada’s hottest occupations and how to position yourself to get one of those jobs. Try Sokanu. It’s a new Canadian website designed to match your passions with a career field. Prefer the personal touch? Make an appointment with one of Mohawk’s great counsellors for some career clarification! You are currently browsing the archives for the Career Research category.